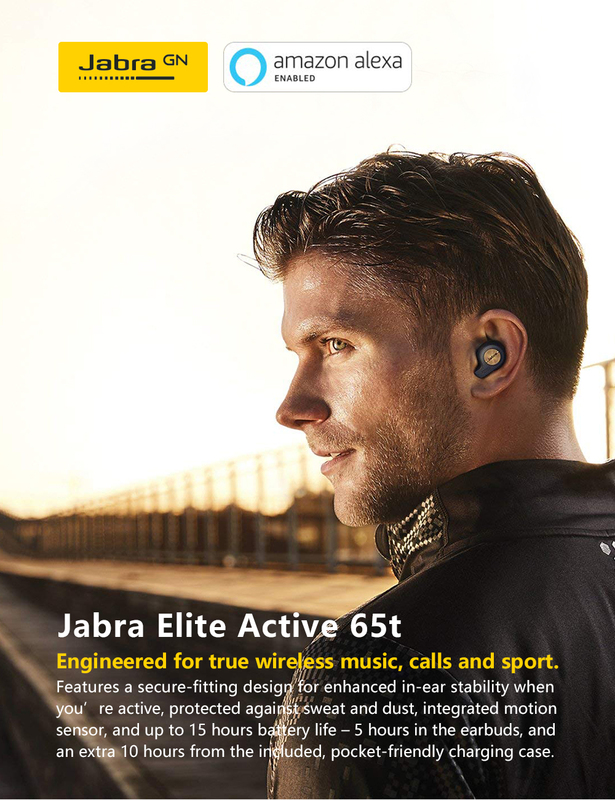 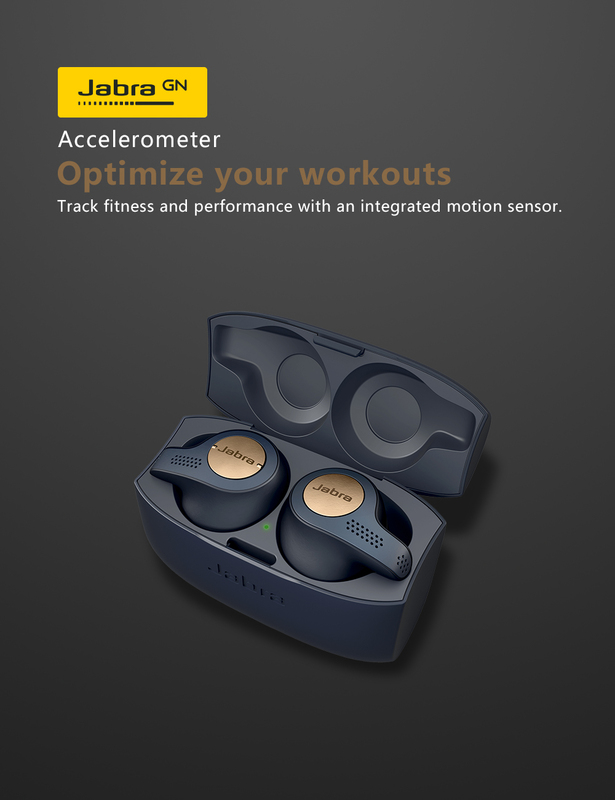 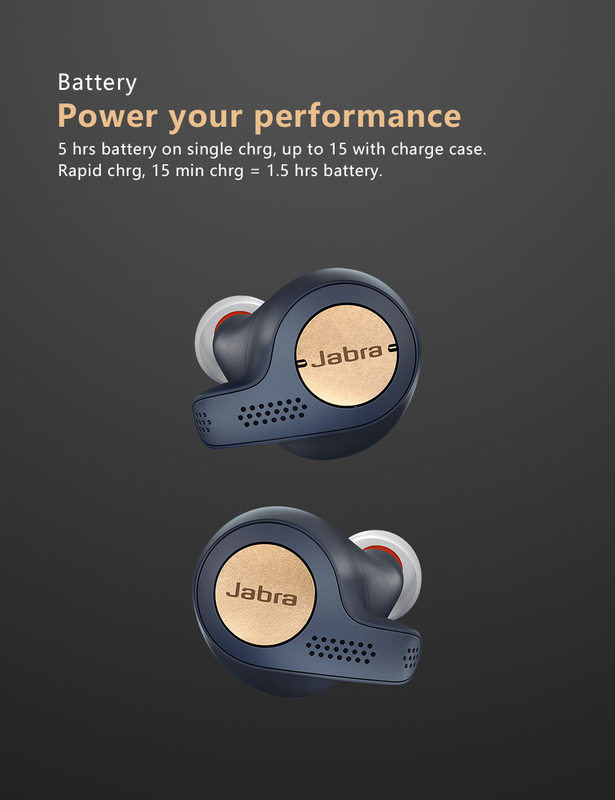 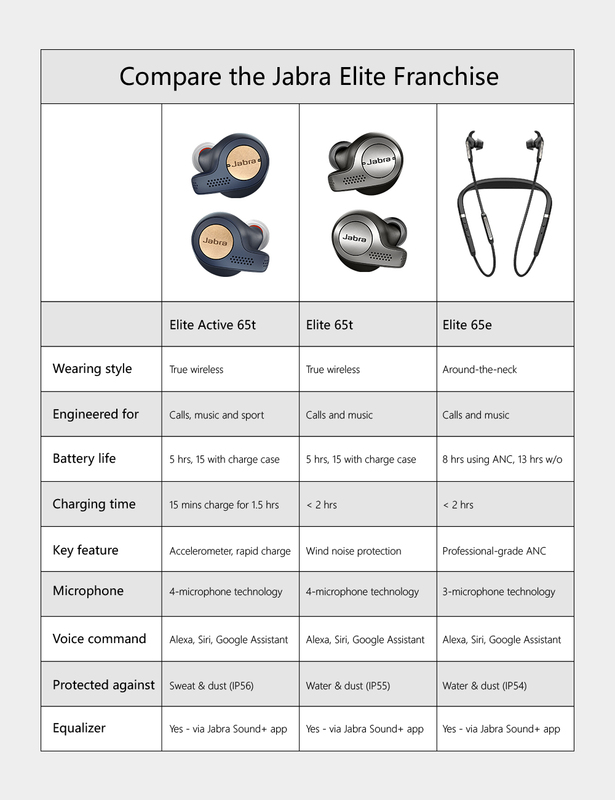 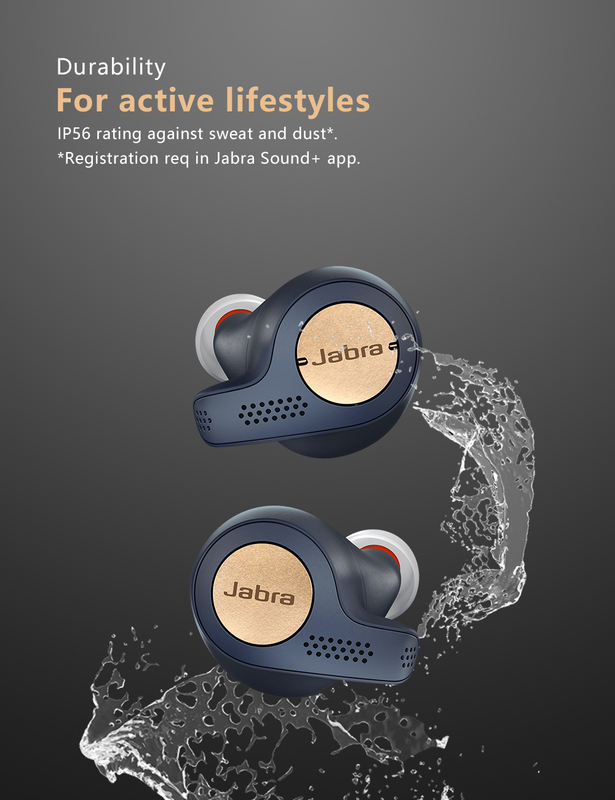 Jabra Elite Active 65t features an IP56 rating, with 2-year warranty against sweat and dust. 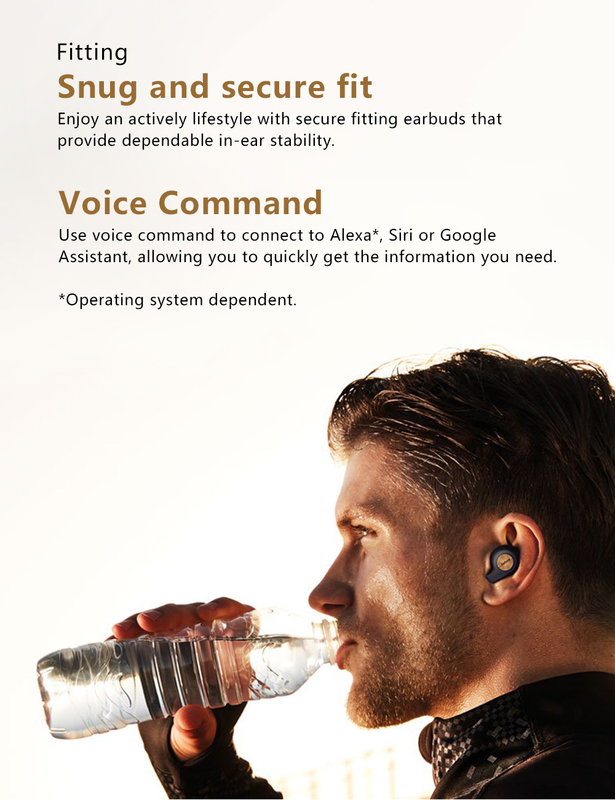 Wherever your day takes you, and whatever your activity, it won't get in the way of enjoying sports, music and calls. 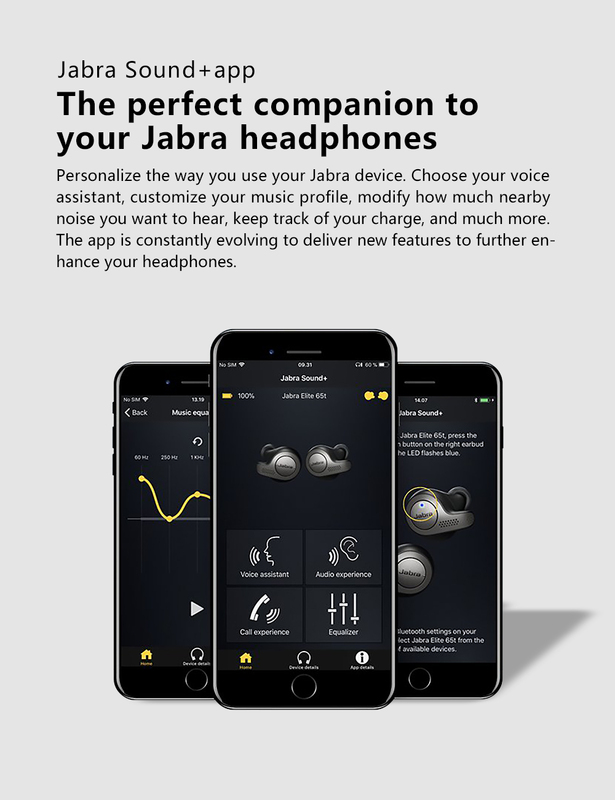 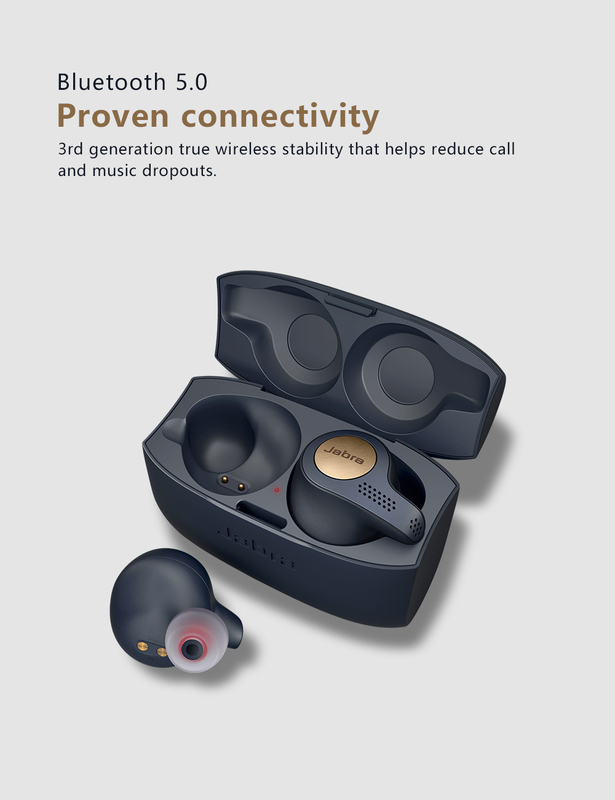 With Jabra 3rd generation true wireless stability that helps reduce call and music dropouts, there are no wires to get in the way and no reason why you can't enjoy conversations and uninterrupted music.